A good prediction supported by data. Well done. Interesting that according to those tables Dumoulin was 6 secs faster than Quintana over the last 5km of Blockhaus. I doubt they completed the last 5km in about 7 minutes. SeriousSam wrote: I doubt they completed the last 5km in about 7 minutes. Obviously the distance isn't right - 5km in less than 7mins on that climb is physically impossible. But the indicator of TT results was spot on and is there any accurate verification of the times over the last 5k of Blockhaus as that would be a useful indicator in predicting TD's chances of holding on to Milan or not. 6.7 w/kg apparently. It was only 20 minutes but still. Only 30 seconds slower than the pirate. Minimal gaps to the other though. Entire field was quick today. Short __/ stage after an active recovery sprint stage with Movistar setting a sharp tempo from the bottom of the climb. Brullnux wrote: 6.7 w/kg apparently. It was only 20 minutes but still. Without the mechanical, I'm pretty sure. I had the '99 footage and todays' stage running parrallel. SeriousSam wrote: Minimal gaps to the other though. Entire field was quick today. Short __/ stage after an active recovery sprint stage with Movistar setting a sharp tempo from the bottom of the climb. Big gaps considering the climb though. Context includes many aspects. One of them: only pantani has climbed oropa faster than dumoulin. 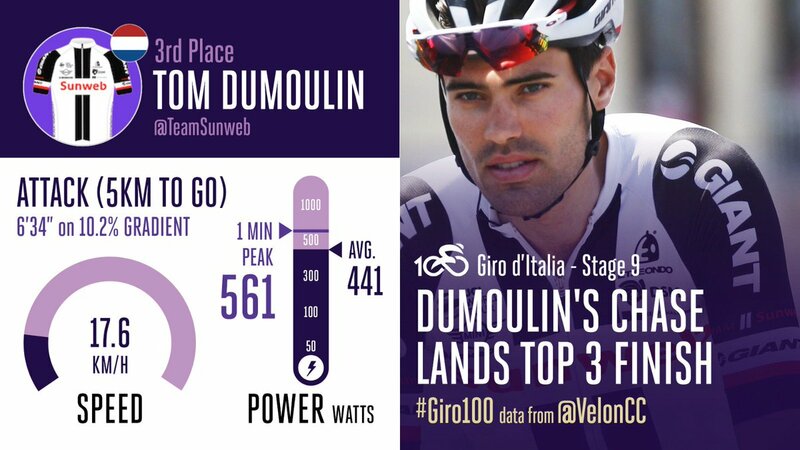 The ridiculousness of Dumoulin's time is probably only equaled in that list by the presence of Moreno Argentin! Did we find any aliens? 1999 had everyone going all out to limit time losses to Pantani, no tactics required. So, the gap is 46 seconds from Pantani to Jalabert (1st to 2nd) and 3 from Dumoulin to Zakarin. Gap from Pantani to Gotti/Clavero (5th) is 1:03 and 35 seconds from Dumoulin to Pinot. If the argument is that Tom's gaps are suspicious, then I don't buy it. Obviously the watts are suspicious though. I can't remember the last time I watched the queen stage of the Giro in full so here's a question: how much do you expect the times on the final climb to be influenced by the previous climbs? 5% slower? 10%? What is usually the pacing strategy here (ie full gas on penultimate climb and survive final climb vs equal effort on both?) Thanks. 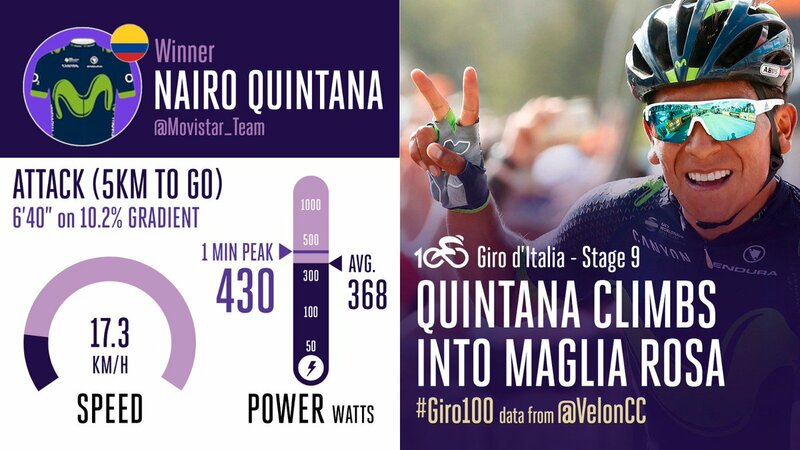 Durden93 wrote: I can't remember the last time I watched the queen stage of the Giro in full so here's a question: how much do you expect the times on the final climb to be influenced by the previous climbs? 5% slower? 10%? What is usually the pacing strategy here (ie full gas on penultimate climb and survive final climb vs equal effort on both?) Thanks. I think it depends a lot on how hard they're ridden. Must have been some very underwhelming w/kg on Stelvio and Pontives after Blockhaus and Oropa.